This has been an unusual week for me, because I wasn't able to go on All Access at all! The Tuesday trip was unfortunately cancelled due to the stormy weather, and I was on vacation for Tuesday and Thursday in DC. The vacation was a lot of fun, though I missed looking for the Lady in Black at Fort Warren! While in D.C., my sister and I visited Alexandria, Virginia for half a day and had a great time exploring the city -- neither of us had ever been before! While there, we stumbled upon the Alexandria Archaeology Museum in Old Town. There are digs in the area to find Indian and Revolutionary era pottery; one cool activity that was set up in the museum was basically a puzzle with discovered pottery from over 200 years ago. 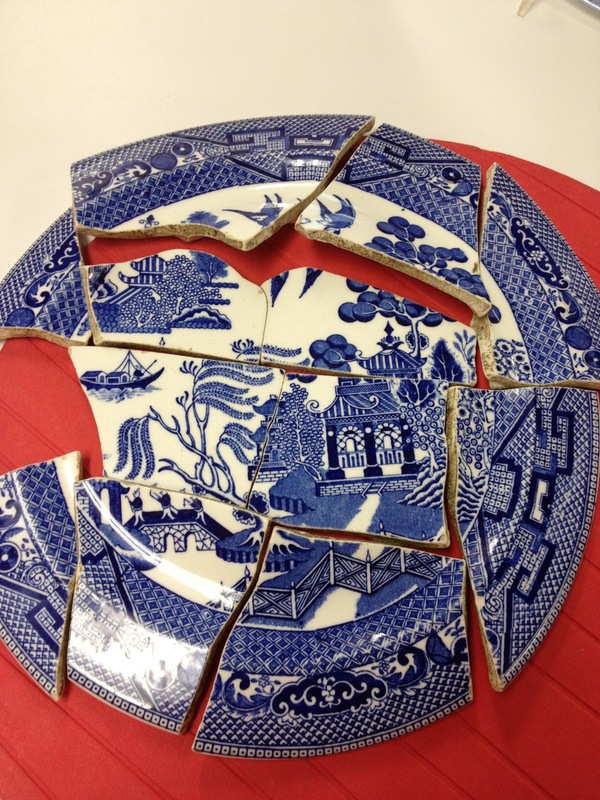 Anyone could try to reassemble plates or mugs -- intended for kids but just as fun for kids at heart (like myself!). What struck me about this museum was that it is actually pretty similar to what Save the Harbor does during the Treasures of Spectacle Island on All Access. Because Spectacle was used as Boston's dumping ground for decades, there are all kinds of pottery and china pieces that children find while walking along the beach. 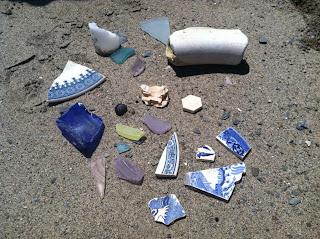 I always encourage kids to look for pieces of sea glass or china that might go together -- it's fun to "play detective" and think about what sea glass used to be. So even though I thought was on vacation from work, looks like work found me in Virginia! I'm excited to get back to Spectacle this week -- hopefully there'll be better weather with lots of sun so I can spend some quality time at the beach!